Top Rated Graduate Test Prep Tutors in San Diego, CA! Welcome to San Diego’s top-rated private graduate test prep in-home tutoring service! 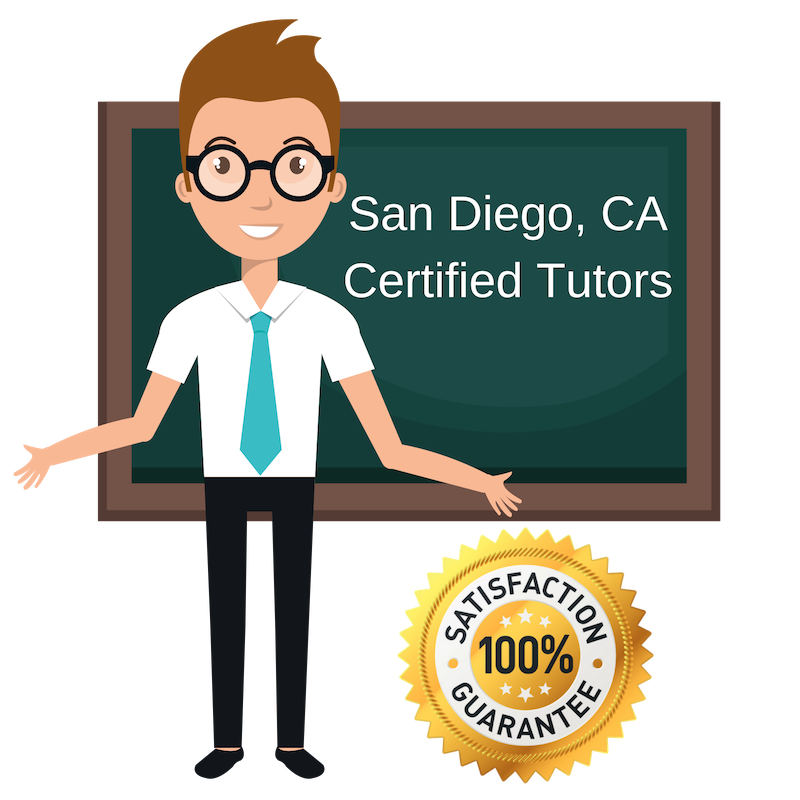 All of the following San Diego graduate test prep tutors are certified by Varsity Tutors, the leading tutoring agency in the country! All San Diego graduate test prep tutors have been background checked, been interviewed, had mock graduate test prep tutoring sessions, and been trained by professionals. We guarantee you will love your local San Diego graduate test prep tutor or your money back! Get information regarding a top-rated graduate test prep tutor today! Having been through the process of attending graduate school for a Master’s degree in Zoology, I understand the trouble of retaining knowledge and preparing for the graduate test while keeping grades up in college. Graduate tests (like GRE, GMAT, and LSAT) are needed in the application process and having a high scores makes the student’s application more competitive. As a graduate test prep tutor, I will help students in the San Diego area learn test taking strategies that will help them remember test materials for when they take the exam. I can also tutor them specific subject areas they may have issues with concerning the graduate test. Whether your graduate test is to attend an MBA program, a Masters in Science program, law school, medical school, or other graduate level programs, I will help you achieve academic success and be confident on the day of the exam. Students preparing for their graduate tests want the best score they can possibly get, which puts a lot of stress and anxiety on them. I want to help students craft the best studying strategies that help them retain information and face their graduate test with confidence. Contact me today to get started tutoring you in graduate test prep. I have experience taking a graduate exam to attend law school. Regardless of which graduate test you are taking, there are study tips and tricks to help you succeed on them. My passion for reading, writing, and reasoning will be used along with my teaching experience to help students in the San Diego area prepare for their chosen graduate test. Film studies, rock climbing, and all things Marvel. Applying to graduate school to further your education is an admirable thing. You could be going to pursue a career in medicine, law, science, business, or some other subject area. I will be able to help you prepare for these exams by improving your studying habits and exploring tactics to help you retain knowledge. Sometimes, students get stressed out so much that is causes them to do poorly on exams. As a sociology major, I can help to alleviate this problem to make you confident and calm when exam time comes. I am located in the San Diego area. Looking forward to helping you pursue graduate school. Exploring new things allows me to learn and develop my skills. I take joy in helping others understand topics they do not fully understand. As an Graduate test prep tutor in San Diego, I will help students learn test taking strategies that helps them absorb and retain information that is tested on in the for their designated exams. My biggest hobbies are travel, photography and sports.